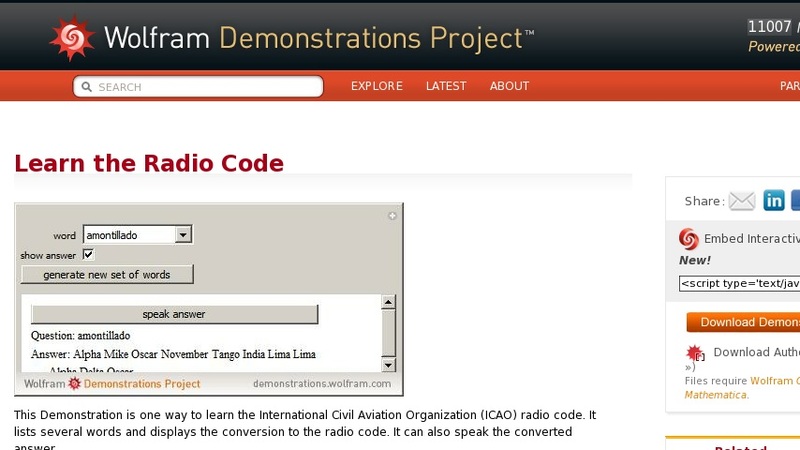 This Demonstration is one way to learn the International Civil Aviation Organization (ICAO) radio code. It lists several words and displays the conversion to the radio code. It can also speak the converted answer.